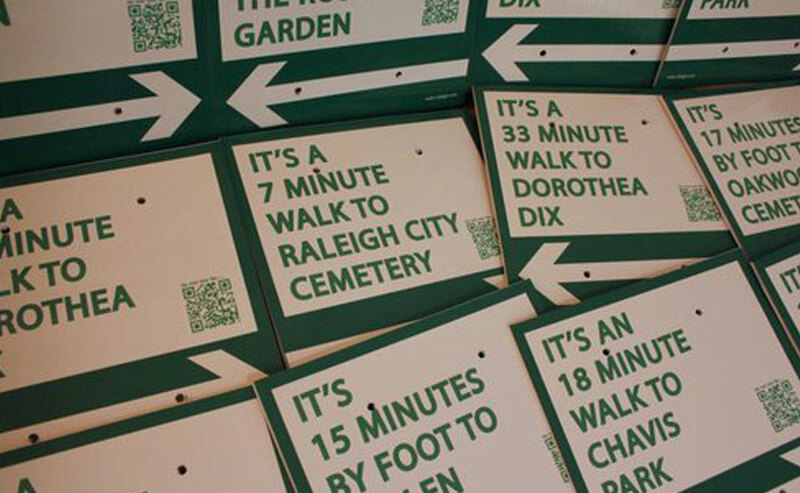 Urbanist-entrepreneur Matt Tomasulo put his city on the tactical urbanism map with an intervention called Walk Raleigh. Without permission, Matt and a few friends posted simple pedestrian wayfinding signs in downtown Raleigh. They placed 27 signs at three intersections in Raleigh, advising people how long it takes to walk from one destination to another. In addition to directional information, the signs also included time-to-destination (minutes) and QR codes.